Previous Post"Stop using stigma to raise money for us", says a leading advocate living well with dementiaNext PostThe Purple Angels' Dementia Awareness Day, founded by Norman McNamara, on September 20th 2014! @Rena – look around for organisations off Google such as charities, people, or social enterprises you’d like to support. You can pop onto Google to see if there are any books on dementias you’d like to read. 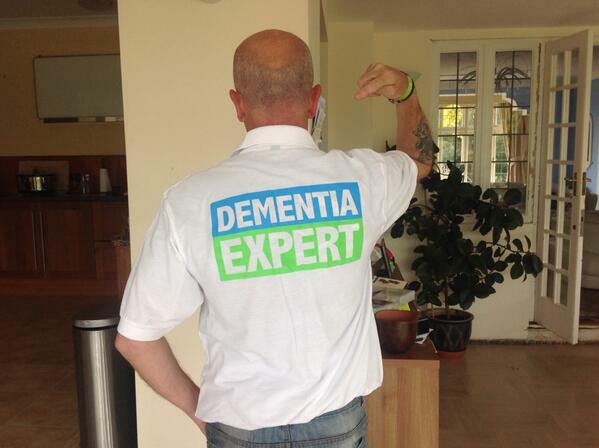 But it would be really helpful if you could commit to something, such as finding and being of practical help to a person with dementia if he or she wants it; or raising awareness through initiatives such as ‘Dementia Friends’ in your jurisdiction; or looking into supporting specialist nursing services similar to Admiral nurses. I think there’s loads you could do, and it’ll come to you what you feel most comfortable with in due course. Thanks very much for your interest. Hi Shibley, as Sube Banerjee said in Brighton yesterday, “dementia doesn’t recognise boundaries” so we should certainly not apply any time boundaries on activities designed to increase awareness of the illness and the capacity it has to wreak havoc on entire families. I speak to dozens of care home managers every week (not just last week) to learn how they empower their staff to provide dignified and person-centred care. Lots to do.